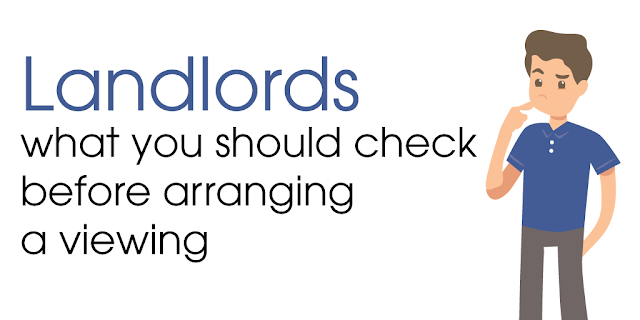 Chichester Property News: Landlords - what you should check before arranging a viewing? This ensures there are the right number and right type of tenants for the property. For instance, I recently had two couples and a friend wanting to share a three-bedroom house. Five adults were probably more wear and tear on the property than I would like but, more importantly, to house them would mean the landlord having to apply for a HMO license from the council (at a cost of £855!). Conversely, I had two friends wanting to rent a two-bedroom apartment; not a problem I said, but are you happy with the second bedroom being a small single? They weren’t, and thus checking this saved me and them the bother of viewing a flat that wasn’t appropriate for their needs. And then there was the time a parent wanted to move from their flat to the house I had available so their child could have a garden…until I pointed out that (as per the advert) there was no garden! There’s little point in conducting a viewing only for the tenants to fall in love with a property they won’t pass your referencing criteria for. I’ve written before about the ‘affordability criteria’ commonly used within the industry, which is that the tenants should earn at least 30 times the monthly rent per annum. So…ask them the question e.g. if the rent is £950pcm, ask if the proposed tenants earn in excess of £28,500 a year. If they don’t, see whether an alternative solution can be found, such as having a guarantor or for them to pay additional monies upfront. Sometimes properties are vacant and thus available to rent immediately, so it’s beneficial to find tenants who can move in as promptly as possible. On other occasions, the property might not be ready for a couple of months, in which case it’s little good showing it to someone who needs to move within a fortnight! You may also discover that they’re just looking to rent for a short period, which may not fit with what you’re looking for if you want long-term tenants. If you don’t wish to rent to students or tenants with pets, now’s the time to check and save everyone from a wasted viewing. 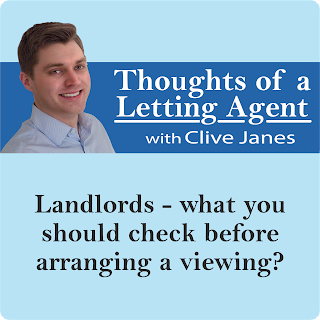 It works both ways too; invite any questions from the tenants or identify what interested them about the property to ensure their needs will be met. Checking all of the above in a polite conversational manner will save everyone time and potential frustration, without it needing to be intrusive or off-putting to your potential future tenants.